Amp Up Your Style Statement Feat. Tissura Fabrics ! Hope You All Are Doing Well ! Today’s Age Is of stiff competition ! And When it comes to Style And Fashion, I Always Believe “My Swag Should always be Prominent from rest of the world”. I experimented many things with my style. Simple, yet stunningly varied, some stylish, some super stylish stuff, always that helps me achieve the desired look with my every creation. Recently, I came across An Online Portal named as Tissura ! TISSURA is a global network of fabric shops and showrooms located in Hong Kong, Moscow and Saint Petersburg. TISSURA is a network of fabric shops and showrooms that has been presenting haute couture fabrics for almost 20 years. They are proud to be a reliable partner of leading French, Italian, Belgian, Austrian, Swiss and British textile manufacturers. They offer exclusive fabrics, trimmings and accessories of premium quality. Their collections include fabrics used by the most famous fashion houses. These Lace Fabrics embodies the beauty and strength of the Woman ! Their Fabrics are unique and innovative designed to celebrate the Indian women’s sense of colour and style with a different look, every time. Imagine , that you are wearing a Beautiful Delicate Lace Dress. Now Imagine Seven Variations to it. All equally chic, but unique to suit different choices and preferences. Yay , you heard it right. Italian and French laces are also widely applied for dress finishing where as Chantilly, guipure or embroidered lace trims can turn your outfit into a true masterpiece of haute couture! This fabric type is generally all about a complex floral pattern. It is very fine and airy, which lets you combine lace with any lining and not bother about the weight of your dress. Moreover, lace doesn’t require any processing of edges, which simplifies your sewing. What’s So Special And Tissura Lace Fabrics ? Lace Fabric Manufacturers Tissura cooperates with iconic Italian, French, Austrian, Swiss and Japanese lace manufacturers, which fabrics are the combination of supreme quality and feminine charm. At Tissura, you can buy French lace fabrics online by selecting from the widest range of types, designs and colours, for any event you can imagine. They ship worldwide. Wherever you live, select the lace fabrics you fancy most, place your order and get ready to start sewing soon. Infuse a touch of Fantasy in your wedding, evening, or party wear dresses by adding these quirky lace Fabrics. I Hope You All Find This Post Helpful. Do Like & Share your thoughts In The comment section Box Below . Let Me Hear You Also ? As Sharing Is Caring Forever. So bye for now Guys ! See You Next Time With Another Great Post . Stay Connected With “Sweet Sunshine Blog” For More Such Updates. Have A Wonderful Day Ahead ! When we wear a dress, the fabric plays the main role always. It should be comfortable and classy at the same time. 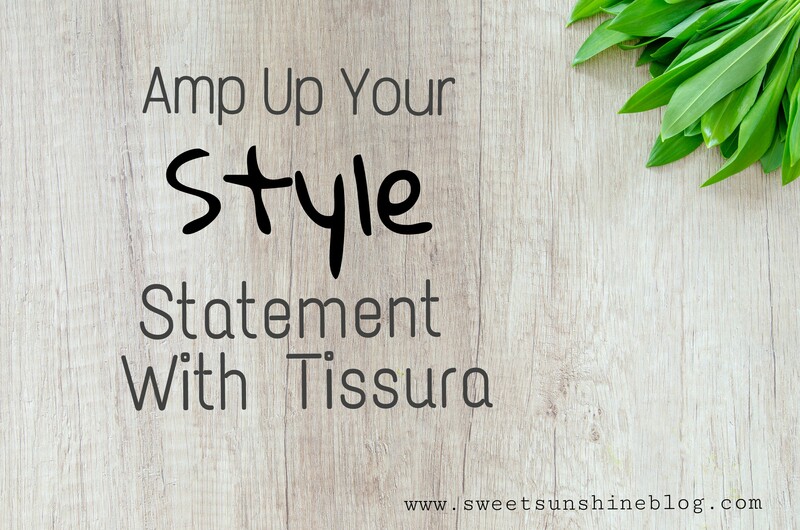 Tissura is an international brand. wow I simply love lace fabrics they look so pretty and any dress made from them is so gorgeous. Lace never goes out of style..I like adding some good and lovely key lace pieces in my collection specially for evening events like Dinner or red carpet. Thanks for an informative post! I had no idea there are so many varieties in lace. I love lacy outfits. The blue colored lace reminds me of my friends wedding outfit. She had teamed conventional white with blue laces but the outfit could have been better had she purchased the quality lace fabric. I guess this website will help those like her. Lace is my favorite among materials. These lace materials look so good. I liked the darker ones the best. Lace dresses are great for any occasion like wedding and parties. This lace fabric looks really good and soft and also very fashionable. Amazing and beautiful post. Tissura has amazing lace fabrics for lace outfits. The fabric is so cozy and affordable. Great thoughts.